Most folks use Gmail as their default email address. And, that’s fine! But what if you’re running a business? Would you still use a basic Gmail address for your brand? Well, that ain’t so smart of you! 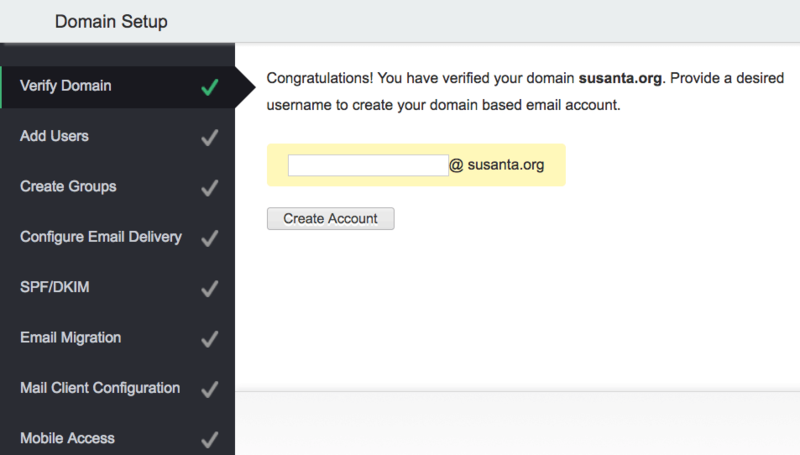 Did you know you could set up a custom email address with your domain name for free? Yes, it’s free meaning you don’t have to spend a dime and it takes only fifteen minutes to set up. If you’re interested, you should head over to my guide: How to Get a Custom Email Address for FREE. But this post isn’t about just owning a free email address for your website. It’s about setting it up as a Gmail address — pretty much like how you would use your free Gmail address for personal use. Free Space: When linked to Gmail, your custom email address gets as much as 15 GB storage space, meaning you needn’t worry about running out of space anytime soon. Search Feature: If you use Gmail, you know the Search Features are probably the coolest of all. It’s such a time-saver! Imagine searching for past emails from your customers or vendors. I know it’s a breeze. That’s exactly why you should custom email in Gmail. Better Spam Filter: If you’ve been using emails extensively, you know spam is such a pain in the rear side. However, Google has probably one of the best spam filter technology so you needn’t lose your sleep over dealing spam emails. 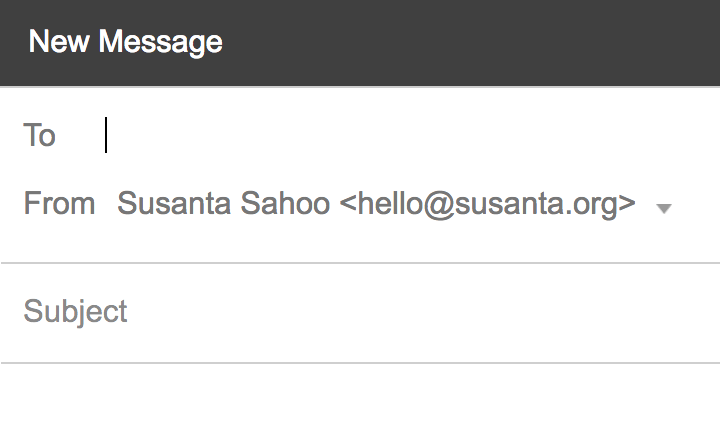 Yes, one more compelling reason why you should use Gmail as your custom email address. Okay, I Get it. How Do I Setup FREE Custom Email With Gmail? You’ll need just an existing Gmail ID or create a new Gmail address to set up your custom email address with. Once you decide that part, the rest of it is pretty simple. Step #1: Log on to your Gmail account. Step #2: Click on the Cog Icon at the top right and choose “Settings” from the drop-down. Step #3: In the Settings, you can find “Accounts and Import” in the top menu. Step #4: The “Send mail as” is what you’re going to configure in order to set up your custom email account with Gmail. Step #5: Click on “Add another email address” and a window will pop up. It’s time to configure it. Step #6: Enter your custom email address in the pop-up windows. Leave the name as is. Checkbox for “Treat as an alias” should already be checked. If not, make sure you to select it. SMTP Server: Referring to my earlier guide which features Zoho Mail, I’ll use the SMTP Server of Zoho Mail. You can use the SMPT Server of your email host. Port: You needn’t really do anything here; Gmail automatically choose the port based on your host. 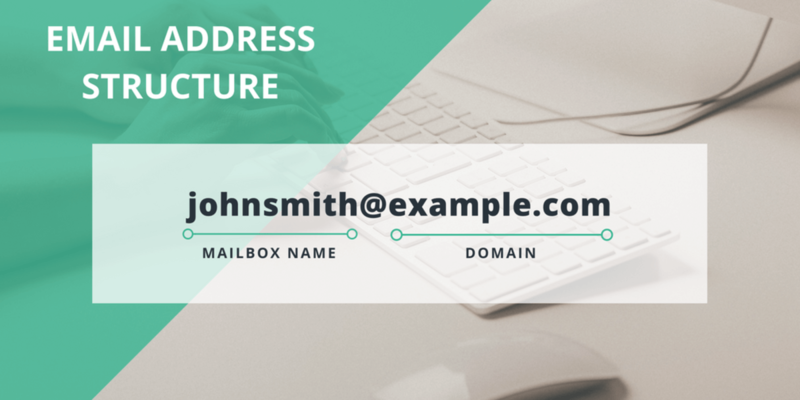 Username: Enter your custom email address. Password: Enter your password for the custom email address. Step #8: Before you click on “Add Account”, make sure the SSL (Recommended) is ticked. Now, click on “Add Account” and proceed further. 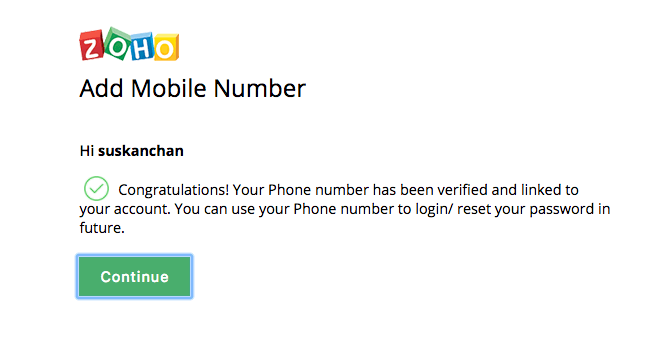 Step #9: Gmail will send you a verification link/code to your custom email address. Check your inbox to click on the verification link or enter the code manually and click on verify. Congratulations! You’ve successfully set up your custom email address in Gmail. Step #10: As an optional step, if you want Gmail to use your custom email address as the default, you need to click on the “make default” link. This essentially means when you create and send a new email, Gmail will use your custom email address in the “From” section. I hope this guide helps you set up your custom email address on Gmail. As a favor, you could share this guide with your friends on social media and spread the word around. Let me know if you have any questions — share your thoughts in the comments below. If you have a self-hosted WordPress website, and you want to 301 redirect your old domain to your new domain (or any existing domain), you will need to follow the steps below. Both Task #1 and #2 are very easy if you’re familiar with WordPress. However, I’ll quickly walk you through the process to make sure you get a complete view. Step #1: Login to your old site’s Dashboard and click on Export under Tools. Step #2: Click on “Download Export File” if you want to transfer all content pieces as shown in the screenshot below. Otherwise, choose the kind of content you want to export and click on download button. For example, if you want to export only blog posts and the featured images attached to them, then you will need to choose “posts” and “media” separately and download two files. Please, keep in mind, WordPress doesn’t allow you to choose multiple options in one go. Step #3: Login to your new site’s Dashboard and click on Import under Tools. Step #4: There, you can see various options to import your XML file(s) you downloaded in Step #2. Click on “Install Now” under WordPress, and then click on Run Importer. Step #5: Once you run importer, you will see the following page (see screenshot below). Simply click on “Choose File” button, and upload the .xml file(s) from your computer. It might ask you to assign your posts from your old site to new site’s author. Choose any names from the drop-down menu and click on Import. Depending on the size of your files, WordPress will process your request and display status alert. For example, if you have around 50 posts, it should take about a minute. At this point, you’re done with transferring content from your old domain to your new domain. It’s time for the 301 redirection. Step #2: Go to Your Root Folder and Locate the .htaccess File. Step #3: Download it to take a backup of the file first. If something goes wrong, you can always upload the original .htaccess file and restore your site. Important: Make sure you replace myoldwebsite.com with your old domain name in both instances. Likewise, replace http://mynewdomain.com with your new domain. Please, note that in both instances of RewriteCond, you need not add http or https to your old domain URL. However, in RewriteRule, you need to add the http or https to your new domain. Warning: If you’re not sure about the above instruction, don’t act in a hurry. It might lead to errors and your site might even break until you restore the old .htaccess file or fix the errors. Ask me about this in the comments at the end of the post. If you have followed me along, simply save your updated .htaccess file. Now, check both sites (old as well and new) to see if the redirection is working properly. What If you want to redirect the entire of the old domain (and not just blog posts) to your new domain address? Instead of the previous code, paste the following code in your old site’s .htaccess file. Once you have saved your work and checked that everything is working well, head over to Google Console (Webmaster Tools) and tell Google Search Engine about the transfer. Even as you have completed the 301 Redirection, you still need to update your property on Google Console to make sure Google start indexing the content in the new domain address. Simply, head over to Google Console and choose the property associated with your old website domain name. Once on Dashboard, look to the right-hand side, locate the cog icon and click on it. You will see the drop-down menu (as shown in the screenshot below). Click on Change of Address in the menu, and you will see the following screen. At this point, Google may already have tracked the 301 redirection and ticked the first two boxes for you (see screenshot below). You just need to click on the Confirm Option, and then on Submit Option. Google Console will confirm your request and show you a box stating “Submitted”. It also allows you to withdraw your request at any time in future. You will see a list of URLs from your old domain that Google has indexed so far. In a few weeks after your submission for Change of Address request, you should see those links disappear. Hope you found this post useful. If you do, don’t forget to share it with your friends. Don’t’ hesitate to leave a comment, question, feedback if you believe otherwise.